Latest releases: Fight-Truth-Love - From improvisational jazz fusion drummer/composer Massimo, featuring John Swana on E.V.I. (Electronic Valve Instrument), keyboard solos by Otmaro Ruiz, and Chico Huff on electric bass, in ten original compositions, including the Quadramallick Sixette trilogy. Geomantia - World fusion release from bass guitarist & keyboardist Gino Foti that explores the dichotomy between design and chance by integrating aleatory music elements via geomantic devices, including: I Ching coins & hexagrams, dice, runes, and a tarot deck. Sixteen compositions, including two trilogies: the first based on sacred geometry, featuring several odd time signatures, and the second in free time. Gino has organized his catalog, to make it easier for listeners to find related albums. Free label sampler MP3 album: Download over an hour of music from our entire artist roster for free! 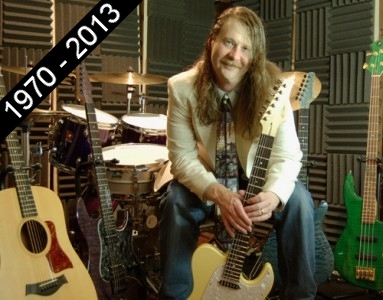 In memoriam: Dave Kulju died suddenly in December 2013. We dearly miss our brother-in-music. Lepää rauhassa. Our catalog has been added to the Sugo Music Group (SMG), an American-based full service distributor, record label, PRO (Performance Rights Organizations) registrar, and entertainment company. Several Gino Foti compositions appear on their Various Artists world music compilations.